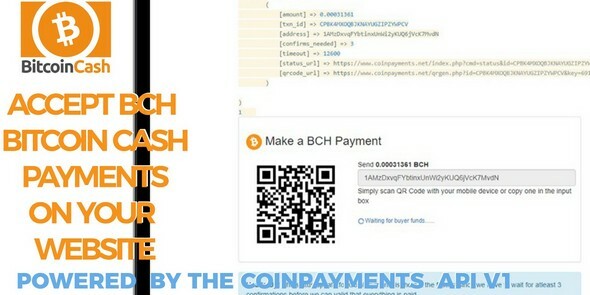 Bitcoin Cash Receive Payments (CoinPayments API). Using this script will help you get started with ease and receive Bitcoin Cash payments from users/members at 0.05% merchant fee charged. First you need to create an account and then setup your APIKEY's *with permissions* from CoinPayments use it in your server or with your host.